Disclaimer: Due to the multiple number of fleets and reports, all numbers presented here are estimates only. Lamaa system, The Bleak Lands region. On the 9th of December at 6:40 EVE Standard Time a battle over a tower spiraled out of control, resulting in 240 ships lost and nearly 70 billion ISK in damages. The battle was fought over a tower belonging to Did he say Jump [JMP-N], which was coming out of reinforced mode. The tower reportedly contained a titan and served as a staging point for the alliance. Dead Terrorists [IKILU] reinforced the tower in order to draw a fight from Did he say Jump, something it has tried for over a week to do. Knowing Did he say Jump’s propensity to call allies to its aid, especially over such important assets, Dead Terrorists did the same which resulted in a massive clash. Did he say Jump secured the help of the Imperium and I N F A M O U S [GLORY]. Did he say Jump brought a Typhoon\Tempest battleship fleet with triage carrier support, estimated at 40 pilots. I N F A M O U S came to the fight in a Muninn heavy assault cruiser fleet of the same size. Imperium forces brought a Hurricane battlecruiser fleet, estimated at 100 pilots, though it arrived after the battle had already started. Against the defending force, Dead Terrorists and their allies Shadow Cartel [SHDWC] assembled a massive Proteus strategic cruiser fleet of 100 pilots. The assault force was supported by a Minmatar militia electronic warfare wing estimated at 30 pilots. The attack also saw a titan staged in the system to grant maximum armour boosts, as well as triage carriers and dreadnoughts staged in range of the fight. Pandemic Legion [-10.0] was also contacted by Dead Terrorists for the timer but decided against siding with any of the combatants. it came to the fight as a neutral third party with approximately 65 pilot strong Proteus fleet of its own. First in the system was a detachment of the assaulting Dead Terrorists fleet, which bridged to one of the stations in system. Once the attacking force collected itself and aligned together it warped onto grid to begin the assault. Did he say Jump’s battleship fleet then entered the system and warped at close range of the Dead Terrorists Proteus fleet who quickly engaged it, starting the fight. As the first flights of heavy missiles were unleashed by the Typhoons’ rapid heavy launchers and the Tempests spat their rounds of artillery fire into the enemy fleet, the Proteus and Legion strategic cruisers responded with bursts of laser beams and hybrid charges flung at the heavy armour plates of the battleships. As the fight was only beginning, I N F A M O U S’ Muninn fleet joined the fray, warping at long range of the Proteus fleet and unleashing devastating barrages of artillery fire, which slammed at the strategic cruiser hulls. At the same time, the electronic warfare wing supplied by the Minmatar militia did its part, jamming the sensors of the battleships and silencing their missile launchers and artillery cannons. Dead Terrorists bridged in the remainder of their fleet as the battle began. Finding themselves outgunned and severely outnumbered, the battleships could only attempt and counter their enemies’ numbers by bringing in triage carriers. As the pair of triage Archon carriers jumped into the system and landed on the grid, the battleship fleet was losing ships, cut down by laser fire which melted armour plates and sliced the fragile hulls or destroyed by the deadly hybrid charges, super heated plasma wrecking armour and hull in great violent impacts. The triage carriers however, could do very little to help the fleet stabilize as their remote repairers struggled to keep up with the inferno that consumed battleship after battleship. Whats worse, they became targets themselves, their colossal, immobile bodies an easy target for the weapon systems of the joint Proteus fleet to hit. Even worse, the hostile fleet lit another cynosural beacon and ushered in dreadnoughts to take care of the triage carriers. These behemoths used their massive cannons to rip apart the carriers. By now though, the Imperium’s reinforcements had made it to the system. The Hurricane fleet warped to the tower, entering the fray. With the addition of the Hurricanes, Did he say Jump targeted the dreadnoughts of the joint Proteus fleet. Their continued presence would not allow the deployment of more triage carriers, and thus had to be removed. The artillery cannons of the Hurricanes quickly focused on one of the Moros dreadnoughts. Salvo after salvo was fired at the behemoth, who did its best to resist the overwhelming damage but alas, caved in to the relentless hail of artillery shells. Another Moros also suffered the same fate of its sister ship, unable to tank the combined firepower that the three fleets had to offer. With such tremendous firepower on the field, Did he say Jump and its allies focused now on the logistics wing of the joint Proteus fleet. Volley after volley saw Guardian logistics cruisers evaporate as hundreds of shells crashed through failing shields and sturdy armour plates, tearing through and exploding into undefended hull segments. The joint Proteus fleet was not idle either and retaliated, blasting and scorching Hurricane and battleship hulls with just as much, if not more, violence. As time wore on, Pandemic Legion entered the system and joined the battle. With its allegiance uncertain it was swiftly engaged by the joint Proteus fleet. The two fleets exchanged fire, targeting each others’ logistics wings while positioning on the grid, the entire battlefield descending into utter chaos. Wrecks and bodies floated around in increasing numbers, lit occasionally by laser beams, a passing plasma charge or the muzzle flare of a howitzer artillery cannon. It was the logistics wing of the joint Proteus fleet which was nearing its breaking point, hammered by no less than 4 fleets. Suddenly, however, a mistake on the part of the logistics anchor of Pandemic Legion flipped the tables. As the two fleets maneuvered on grid, the Pandemic Legion logistics anchor burnt into range of the enemy’s rail guns and beam lasers. In short order, Onerios logistics cruisers were obliterated, hulls burning into cinders almost instantly as the joint Proteus fleet exacted its revenge. Reeling back, the Pandemic Legion fleet was forced to break off and orbit at its maximum range as pilots were sent to fetch new logistics cruisers, circling around the main fight, but its influence on the course of the battle was severely hampered. Regardless, the Pandemic Legion fleet provided a distraction and added pressure on the joint Proteus fleet, which Did he say Jump and its allies exploited. In rapid succession, both strategic cruisers and Guardians were felled by the remorseless artillery fire as the strength of the joint Proteus fleet’s logistics wing waned and was utterly broken. Retreat, however, was not an option for the joint Proteus fleet. Another cynosural beacon was secured and triage carriers of its own brought to the field to supplement its logistics wing. With the triage carriers on field, the joint Proteus fleet pulled together and rallied once more, attacking the Hurricane fleet with renewed ferocity. battleships and Hurricanes were once again annihilated in a great conflagration, the storm of destruction claiming more and more ships. Did he say Jump and its allies did not despair and attempted to mount a resistance, focusing their fire on the triage carriers. A Nidhoggur carrier became the focal point of their rage which consumed it in a great and violent storm of artillery shells. And yet, by then the ranks of Did he say Jump and its allies had severely dwindled. Even with a concentrated strike, most of the strategic cruisers proved too sturdy now to break, their armour plates absorbing the lessening damage output of the hostile force. Fighting a losing battle, the allied fleets concentrated on the underbelly of the joint Proteus fleet, clearing electronic warfare and support ships while the strategic cruisers continued to rip apart their mainline ships. Finally, the allied fleets were broken, exhausted by the heavy fighting and continued losses. While Did he say Jump attempted to mount some defense of the tower, constantly re-shipping, its allies could not do the same. The Imperium’s fleet was all but annihilated. The I N F A M O U S fleet constantly harassed by Pandemic Legion. Did he say Jump’s own fleet was destroyed time and time again. In the end it was forced to concede defeat. With the enemy forces broken, the joint Proteus fleet destroyed the tower, claiming victory of the field as well as the objective while its enemies departed the system, extracting back to their respective staging systems and ending large scale hostilities for the day. Battle report for the Lamaa system can be found here. All told the battle was fought for an hour with local estimated to peak at 400 pilots and Time Dilation reportedly reaching 50% at times, but was mostly negligible. However, reports of module lag and strange behaviors were received from combatants, which possibly influenced the battle. Did he say Jump and its allies lost 143 ships including 3 carriers, 13 battleships and 35 battlecruisers for a total of 30.43 billion ISK damage. 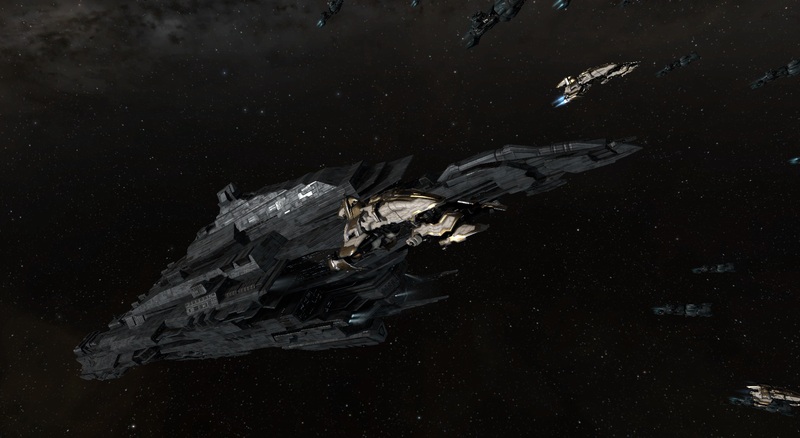 Dead Terrorists and its allies lost 81 ships including 2 dreadnoughts, 1 carrier and 9 strategic cruisers for a total of 29.51 billion ISK damage. Pandemic Legion lost 16 ships including 10 strategic cruisers for a total of 9.69 billion ISK damage. but I can figure things out pretty fast. I’m thinking about setting up my own but I’m not sure where to begin. Do you have any tips or suggestions? I simply wanted to thank you very much once again. I am not sure the things that I would have made to happen without those strategies contributed by you over this area. It was actually a frustrating matter in my view, however , considering your expert manner you managed it forced me to leap for joy. I am just happier for your work and believe you really know what a powerful job you were undertaking instructing people today via a site. I know that you haven’t met any of us. Thanks a lot for giving everyone a very splendid chance to read from here. It’s always so amazing plus full of fun for me and my office colleagues to search your website at the least thrice per week to find out the newest things you will have. And definitely, I’m usually motivated with all the dazzling opinions you serve. Some two ideas in this post are without a doubt the most impressive we have had. A lot of thanks for all your work on this web page. Kate really likes getting into investigation and it’s really easy to see why. A lot of people notice all regarding the lively way you render very useful ideas via your blog and therefore welcome response from other ones on the situation then my girl is certainly starting to learn a lot of things. Take advantage of the rest of the new year. Your doing a tremendous job. material, is there any other web site which presents these kinds of things in quality? I simply want to mention I am just newbie to weblog and definitely enjoyed your page. Almost certainly I’m likely to bookmark your website . You definitely come with fabulous stories. With thanks for revealing your website. I simply had to appreciate you once again. I do not know the things that I would have used without these techniques provided by you directly on this area. It actually was an absolute fearsome problem for me personally, nevertheless taking a look at this specialized avenue you managed it took me to weep over joy. Extremely happier for this help and then hope that you recognize what an amazing job your are carrying out training the others through your blog post. I know that you haven’t encountered all of us. I have a blog with blog writer. I have actually registered my blog site using a gmail account. Currently, I want to make use of a new gmail account and I intended to import my entire blog site together with the messages and remarks to this new gmail id … Please tell me, is this possible as well as exactly how can it be done?. What is a good cost-free blogging website that I can reply to blogs as well as others will reply to me? It¡¦s actually a cool and helpful piece of information. I am happy that you shared this helpful information with us. Please keep us up to date like this. Thanks for sharing. I require to understand how to watch my articles or talk about other peoples blogs. Is there anywhere I could go to get a listing of all my blog posts?. Any kind of assistance valued. This post presents clear idea for the new visitors of blogging, that truly how to do blogging and site-building.